There are dozens and dozens of books on the topic of fundraising, however these are the most common mistakes I’ve encountered in this area and it is my wish, dear reader, to spare you these. Proper fundraising requires knowledge and finesse. Fundraising suffers from the “goldilocks” paradox to an extent. Not having enough money (cold) to run your venture is an obvious mistake, but somewhat counter-intuitively, having too much money (hot) is also a bad situation for your venture. Too much money means your obligations to others will be high. You might feel pressure to take your venture in a direction that it’s not ready to go. Let’s delve into these two issues a little deeper. We’re Out of Money – What do we do Now? Money is truly the grease that makes the world or your venture go around. Without it, your venture is not a going concern. A going concern is a business that can operate without the threat of liquidation for the next 12 months or so. I think it is all too obvious a mistake for a venture leader to not raise enough money to keep the venture afloat and moving forward. However, given the number of ventures that fold in any given period of time, which cite access to capital or funding as the major reason for their venture’s failure, it is clear that a failure to raise enough capital is still a major mistake ventures make in the fundraising area. Two common reasons why ventures run out of capital have to do with how they actually attempt to raise it or the venture’s inability to do so effectively. Check out my blog, Three Keys to Successful Fundraising, to learn more about how to raise capital. While it can often valuable to “boot strap” your venture for as long and as you can, do not do this at the expense of the venture and its ability to grow and dominate its market – This is penny-wise and pound foolish. The bottom line and rule of thumb is that a venture leader needs to proactively raise capital so there will always, ALWAYS be 12-18 months ahead of their capital burn (the current and projected rate at which you are spending money) to ensure that the venture never runs out of the fundraising fuel. One common reason that ventures run out of money or don’t seem to ever have enough is their capital burn rate. 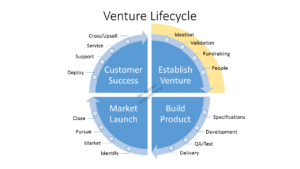 This means that some venture’s spending is not in-line with where they are in their lifecycle or in their capital raise process. For example, I once worked with a venture that had about 6 months of capital on hand and they were planning a retreat for their executives. The next round of funds was “on the way” to close in another 3 months or so, therefore, management felt justified spending its precious capital on an executive retreat, instead of hoarding it in anticipation of the 3-month funding lag that sometimes becomes a 6 or 9-month timeline. Call this a lack of foresight or overconfidence in their fundraising ability or sheer foolishness. It was clearly not a smart thing to do during lean times! You want to correctly manage or calibrate your capital burn with respect to its capital reserve. Sometimes it can make sense to ramp up your capital burn, like spending more in sales and marketing when you’re launching a new product, but then it’s also important to ramp down on the capital spend as you find that your venture is approaching that critical point where they’ll run out of money. Why Having Too Much Money is a Bad Thing? I know it seems paradoxical that this could even be considered an issue for your venture, but trust me when I tell you that enough ventures have failed from this scenario that you will definitely want to avoid it. Think of it this way, too much of anything, even a good thing is bad and can even be fatal. When a venture has too much capital, one of the problems that arises is the voice (or voices) of those providing the capital can become an over-riding factor in all decision-making. This can lead to the VC pushing the venture to engage in behavior and activity that is ultimately self-destructive. While that’s never the intent of anyone involved, it can and has been the net outcome on many occasions. For example, a VC may push a venture to expand geographically and into verticals and markets before the venture is actually ready to do so. That may be a good use of their capital later but not at the present moment. However, since the VC has provided the capital and has an outsized voice, the venture goes ahead with the expansion, only to find out what they already knew, that they weren’t ready. This can lead to a disaster for everyone involved. An over-abundance of capital can cause ventures to engage in behavior that is outside the norm and wouldn’t make sense if they were operating on a shoe-string budget. 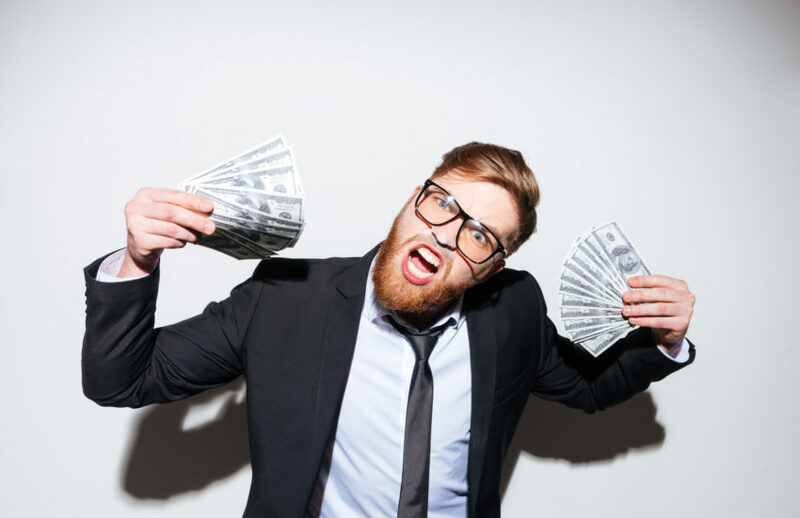 Examples of this destructive behavior can include things like giving ridiculous perks to key employees, hosting outlandish events or activities or trying to move entire markets all by themselves. None of which makes sense in hindsight and probably would never have happened if the venture wasn’t “drunk” on its own capital. Too much capital can give a venture a false sense of security or comfort that they’re “doing the right thing” or that “everything is fine” and cause them to miss critical warning signals that all is not well. This could be a product failure that go unnoticed or unaddressed because so many products are being pushed through the organization that no one notices or can be bothered to address these issues. Or customer complaints and criticism that goes unnoticed because there are so many customers lined up that the venture just doesn’t have the time to pay attention to the irate customers and do something about their problems. Again, these seem like obvious no-no’s, but I have seen excessive amounts of capital in a number of ventures I’ve consulted with result in these and even more problems causing them to flame out and fail, sometimes spectacularly. The final mistake a venture leader can make when raising capital is chasing “smart” money. Candidly this phrase makes me laugh, “smart money” – I never realized that a dollar bill had an IQ. The belief behind this concept is that some money is better, more favorable, or advantageous than other capital. While it can be true that some VCs, Corporate VCs, and other sources of capital can come with a rich set of resources that can facilitate the success of the venture, the reality of what I’ve seen in the market is that the true gauge of the “smartness” of the money comes more and often completely from the venture leader’s ability to extract the maximum value from the providers of this capital, rather than the capital provider(s) offering it up to the ventures. In other words, the pitch from the “smart” money folks is, “We’ve got a network and have lots of successes, so go with us to increase the odds of your success.” When you hear that, remember the warning that the federal government makes all public companies put in their press releases – these are forward looking statements and past performance is no indication of future performance. In other words, there’s no guarantee that just because a VC had a success with any given venture in the past that any of that success will rub off on your venture. What does matter when it comes to smart money is the venture holding the source of capital accountable for proving their “smartness” over time to the venture in the form of tangible and real deliverables that will enable it to move forward and achieve its critical milestones. For example, make a list of customers the VC can introduce you to from their vaunted “rolodex”, or key talent they can introduce to help fill a critical vacant spot or even other venture leaders who are struggling with the same challenges as you. The above paragraph isn’t a criticism that smart money isn’t smart – that’s not the case – but in my experience whether or not the money is smart has less to do with the VCs opinion of themselves and more to do with how the venture smartly engages with their VCs.